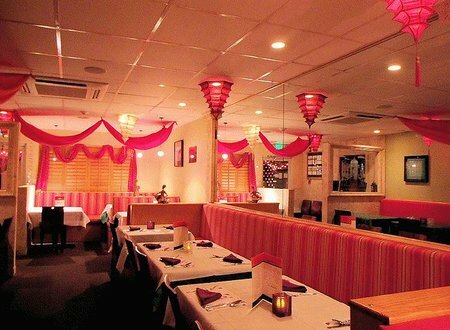 House of India is the only genuine Indian restaurant with Indian chefs in the island. Located at the northern edge of Hamilton city, about 10-minute walk from the town center, House of India is a small but busy restaurant. The dining room is decorated with Indian paintings and woodcarvings. Ashok Uppal started the restaurant in 1995 along with his wife. Since then it has only continued to gain popularity and often termed as the best Indian restaurant in Bermuda. The restaurant specializes in slow cooked and often spicy northern India cuisine. We have many favorites here. We would usually start with vegetable samosas (small deep-fried turnovers), or chicken tikka. There are wide varieties of vegetarian, beef, lamb and chicken items, prepared to whatever degree of spiciness you want. They can customize the dishes for you and prepare it with low, medium or high spices as you desire. One of our top favorite food at House of India Bermuda is the Tandoori Chicken - chicken simmered with yogurt and little Indian spices slowly roasted in tandoor (clay oven), tastes absolutely delicious. This probably is the least spicy food in this restaurant. Other favorite dishes include the lamb maas (lamb simmered in an array of spices) and beef rogan josh (Indian curry with a variety of spices, yogurt and tomatoes). If you like spicy food, you can try chicken chetinad. The nans (a flat doughy bread) is freshly made in tandoor. Another great dish that you can try here is the Byriani which is rice prepared with several different spices, meat (or vegetables) and served with yogurt raita. You can get chicken, beef, lamb, baby shrimps and veg Byrianis. Lassi (sweetened yogurt) served in a glass, particularly the one with mango flavor, are delicious and refreshing. There is a buffet lunch both veg & nonveg, served on all days between 11am to 3pm. It's reasonably priced and worth every penny. The buffet menu changes every day. The chef mentioned that all dishes prepared here are free of gluten and wheat, except for breads and pastries. They also serve domestic and imported beers and a nice selections of wine. Vegetarian dishes are priced a little lower. The restaurant also offers take out service. The restaurant accepts credit cards. Reservations not required. Park View Plaza, 58A North Street, Park View Plaza, City of Hamilton (Pembroke Parish). From dockyard you can take a ferry to reach Hamilton in 20 minutes. It's about a mile from the Hamilton Ferry Terminal or Front Street (takes 12-15 minutes walk). Check out Hamilton Dining Map to see the location of this restaurant and several others nearby. 2) Check out Top Cheap Restaurants to know about the inexpensive dining choices in Bermuda that serve great dishes and are quite popular in the island. 3) Check out Top Bermuda Restaurants for all our favorite restaurants in Bermuda. 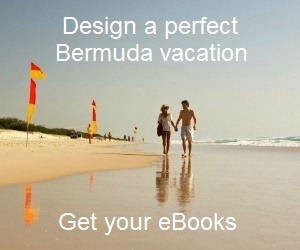 4) Check out Restaurants & Bars Directory for a complete list of dining options in Bermuda.